The company offers bonuses and promotions for new and existing customers who can place bets on desktop computers and mobile devices. Customers can bet on over 60,000 events each month and more than 25,000 of these are in-play featuring over 2,000 markets. Many of these events and markets are related to football but others form 10Bet’s coverage of more than 30 sports. 10Bet are strong for a number of sports including baseball and basketball which are two of the four main betting sports in North America. However, the overall sports betting product including the football service is designed for the UK market and other betting countries in the rest of Europe. Odds appear well ahead of events and there are high betting limits. Up To £50 in First Welcome Bonus. Asian Handicaps for All Football Matches. Customers new to 10Bet are eligible for a welcome offer of up £100 to in the form of a bonus. This new account promotion is a 50% matched bonus that can be used in the sportsbook. The amount is relatively high and in terms of value compares favourably with similar offers from competing operators. In the UK 10Bet is competing with trusted and established brands not in business in other parts of the world. Bookmakers with a history of retail betting in the UK attract new customers on the strength of their name and reputation. 10Bet does not have this potential so have a potentially lucrative welcome offer to generate market share. 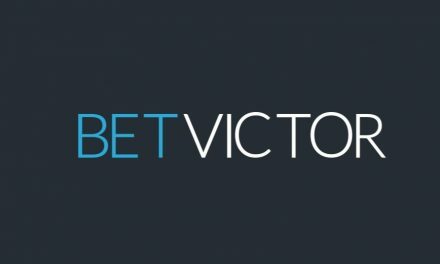 How Does The 10Bet Sign Up Offer Work? A code must be entered during the first deposit process. The welcome offer is a 50% matched bonus for up to £100. The minimum deposit is £15. Deposits using Skrill or Neteller are not valid. The bonus amount equates of 50% of the first deposit is credited once the first deposit has been made. The deposit and bonus must be turned over six times before the bonus amount is converted into betting funds. Assuming the minimum deposit of £15 the bonus amount is £7.50 so the total is £22.50 which requires staking of £135. Assuming the maximum bonus of £100 the initial deposit is £200 so the total is £300 which requires staking of £1800. The qualifying bets must be on sports with odds of 3/5 (1.60) or bigger for singles or 2/5 (1.40) or bigger for accumulators. The staking requirements must be met within 30 days of the first deposit. 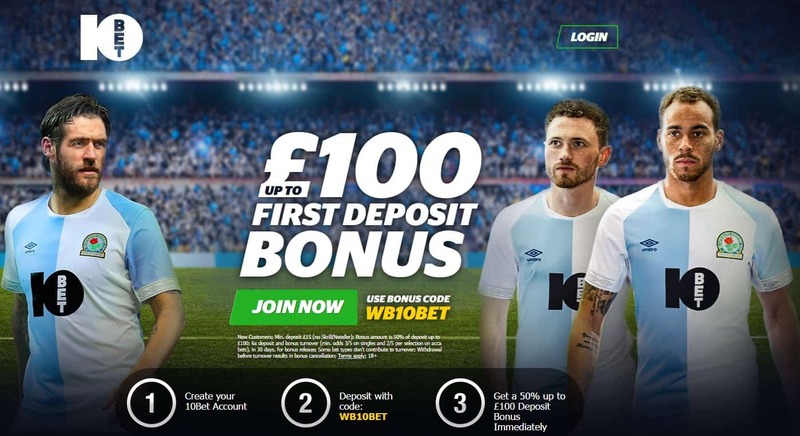 In terms of value the 10Bet welcome offer is attractive but new customers may not appreciate how many times the first deposit and bonus must be turned over before they have access to the funds. To earn the maximum bonus of £100 bets must be placed for a total of £1800 and there is a window of only 30 days. There is no denying that in terms of value the 10Bet welcome offer is a good incentive to open an account but the terms and conditions may prove to be too demanding for many new players. The total of the deposit and bonus must be turned over which in reality equates to 18 times the maximum bonus. One of the positives associated with 10Bet is the range of football promotions for existing customers. Football is the main betting sport and more than 50% of sports bets are on football matches and winners of leagues. The English Premier League is by some way the most bet on league around the world and the 10Bet ongoing football promotions are valid for matches in the top division in England. 10Bet are the official principle sponsors of English football club Blackburn Rovers and the official betting partner of English football club West Bromwich Albion. 10Bet offers a facility called ‘Create Your Bet’ which is a personalised betting product for mobile users. Each month the operator selects six matches that apply and offer insurance on the bets if a goal is scored in the last 10 minutes. If the bet loses and there is a goal after the 80th the stake will be refunded for up to £10 in the form of a mobile bet. Bettors should be aware that added time does not count so the qualifying goal must be scored from the 80th to 90th minutes. The minimum qualifying bet is £5 at odds of 10/1 or bigger. The free bet is valid for 7 days and the minimum odds are evens. Blackburn Rovers are in partnership with 10Bet and the insurance described above is also valid for selected Blackburn Rovers matches. The terms and conditions related to Big Match Insurance apply for fixtures involving Blackburn Rovers. However, the qualifying goal must be scored in the first 10 minutes and not the last 10 minutes. The other staking and time elements are identical for both offers. Premier League, Championship, Champions League, Europa League and the top divisions in Spain, Germany, Italy and France matches only. Pre-match bets only and in-play bets do not count. Applies to correct score and first, last and anytime scorers. The minimum qualifying bet is £5 and the maximum free bet is £10. The free bet is equal to the qualifying stake. The free bet is valid for 7 days at odds between 4/5 (1.80) and 7/1 (8.0). The free bet must be used in one transaction and the maximum free bet is £10 per fixture. The qualifying bets must lose which means a 0-0 draw as there can be no scorers. Any returns from the free bet do not include the stake. All customers can enjoy odds boosts on one line bets other than singles on all sport including football, other sports and a combination of sports. The enhanced winnings are for up to 60% of the return depending on the number of selections in the bet. The extra cash bonuses range from 2% for doubles to 60% for 16-folds or more. One of the most popular football bets is the acca which combines the match winner of a number of matches at multiplied odds so the boosts provide added value. The acca boost with 10Bet makes for a better football betting experience but the offer applies to all the other sports. The same enhancements apply for system bets that include 4 or more selections in all sports except horse racing which requires a bet with 5 selections to qualify. However, bookmakers are happy to take accumulator bets because there are more chances of the bets not winning. The profit boosts appear attractive but if a customer lands a 16 team multiple the returns will be substantial. The 2% boost for winning doubles is negligible but the concession is clear and there are no turnover and odds restrictions. So, it’s fair to say that football bettors with 10Bet are well catered for in terms of match specific offers and bonuses. 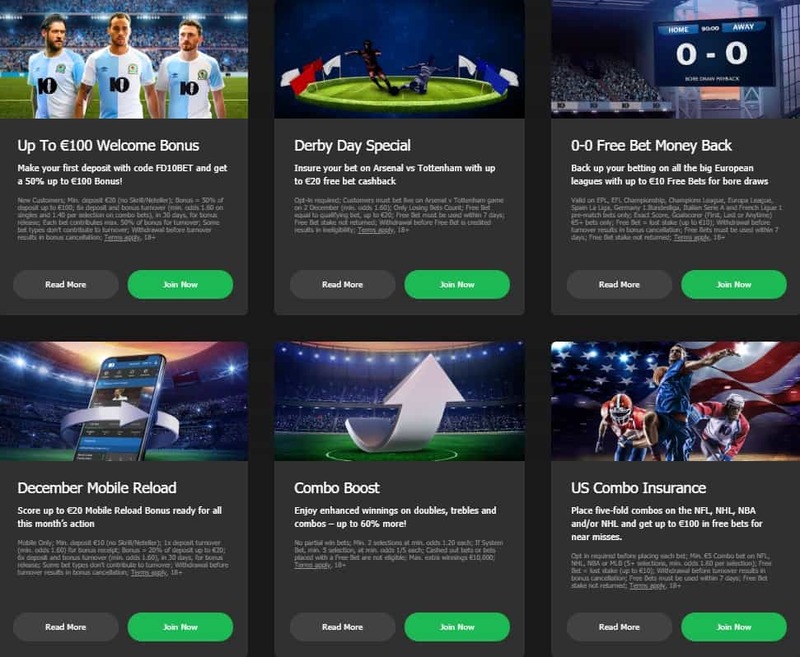 The football related offers are targeted by customers in the UK but bettors in other countries in Europe can enjoy offers related to a number of European leagues and the two main European competitions. The 10Bet football promotions are good incentives to bet on football with this operator. The offers and bonuses for the sport enhance the overall offer. The three way match odds are compiled with a margin of 55 which is about average with bookmakers who target football bettors in the UK. The odds are displayed in fractional format by default for UK customers but the format can be changed to decimal. The growth of betting exchanges which use decimal odds has made British players more familiar with this format which is easier for bet returns calculations. The modern bettor is more likely to choose the decimal more than the fractional format. The first option on the main football menu is Live and selecting this option takes users to a screen displaying the current in-play football events. At the time of writing the site features live matches from leagues in Europe and South America. The graphical interface shows key events and the team in possession of the ball. 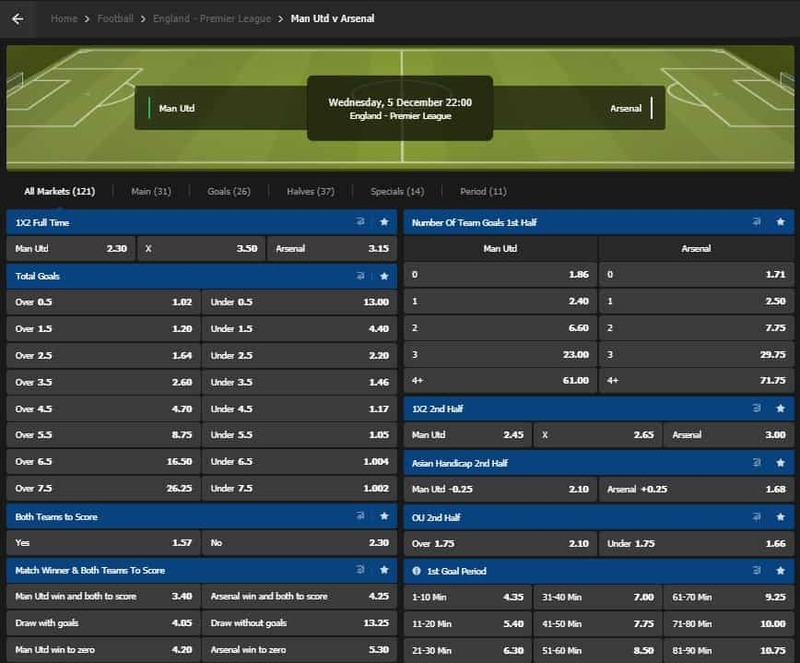 A typical live football match will feature over 70 in-play markets which are updated as the match develops. The interface works well and provides many betting options. The range of markets is displayed under the headings of All Markets, Main, Fast Markets, Goals and Halves. When a goal is scored or there is a significant event betting is suspended. After a short period of time the betting opens again with amended odds based on what has just happened. The amount of match statistics is impressive and the numbers are updated in real time. Overall, the 10Bet live football products is one of the best in the industry. The 10Bet mobile app is available on Google Play and can be downloaded from the App Store. The mobile app can be accessed using iOS and Android devices. The 10Bet app is fast and reliable, easy to use and offers many betting features. Mobile users are entitled to the new customer offer that comes in the form of a 50% matched deposit bonus for up to £100. The 10Bet mobile app has betting markets for over 30 sports. There are many sports events for pre-match and in-play betting that can be enjoyed on mobile devices. The app is easy to navigate and reliable. It’s safe to assume from the sports menu that after football horse racing, tennis and basketball are the most popular betting sports. These sports have been taken out of the A-Z list and some of the events appear in the list of quick links. Any online bookmaker that is looking to attract UK customers must include horse racing in their coverage of sports. Greyhound racing to a lesser extent is expected and 10Bet includes this type of racing in their menu of sports. The retail betting industry in the UK is based on horse racing even though there has been a shift in betting shops towards virtual sport, numbers games and lotteries and Fixed Odds Betting Terminals. That means online bettors from the UK expect a full racing service. 10Bet offers betting on fixtures in the UK and Ireland but not on major international meetings. Customers can place ante post bets on major races in the future such as at the Cheltenham Festival and Grand National. The tennis service includes betting on the main tours for men and women. The site also includes markets for the main basketball leagues in North America and Europe. The A-Z list features over 30 sports and E-Sports and virtual sports. The most popular markets are the match winner, totals and handicaps. Customers can also bet on more exotic markets such as the correct score, Asian handicaps and goalscorers in football and the key players and events in other sports. Existing members login by entering their Username and Password on the 10Bet Home Page and potential new customers click the ‘JOIN NOW’ button. There are three registration screens that have to be completed to open a new account. The required fields are for personal details, contact details and account details. There is a prompt to enter an optional bonus code. Once the first deposit has been successfully made the 50% matched bonus appears is the account and betting can begin. The odds in a market are selected and this action causes the Bet Slip to appear. When additional selections are made the bet options are displayed which are singles, multiple bets and system bets. On bet confirmation the account balance is immediately updated. The three basic process are easy to follow and can be completed in a few minutes. Customers can make deposits into their 10Bet accounts using several payment methods. The banking options include debit and credit cards, e-Wallets such as PayPal and Neteller and bank transfers. Funds appear in an account immediately for most payment options and there are no fees. There are minimum and maximum deposits and withdrawals which are in line with industry standards. The deposit process takes no time so funds are quickly available for betting. Payment process times are acceptable and there have been no negative reviews. The number of options for depositing and withdrawing is adequate and the main methods are available. The 10Bet support department can be contacted by email and Live Chat which offers immediate response times or slight delays based on the number or queued questions. Support is available in English and the hours of operation are 24/7. Some other online bookmakers offer limited support hours which could include a window overnight when the company cannot be contacted. 10Bet offers round the clock support even though customers do not have access to a customer services telephone number. 10Bet was founded in 2003 and the parent company is based in Malta. Betting services for residents of Britain are regulated and licensed by the UK Gambling Commission. This operator is now established as a leading international bookmaker and is also licensed in Curacao and Malta for players not based in the UK. 10Bet have registered players in over 70 countries and have found a place in the market by publishing their odds ahead of most of the competition. Overall the review of 10Bet has been positive. However, there is no live streaming and the bonus rollover requirements are excessive. Live bets can take some time to be settled and withdrawals using e-Wallets can be delayed. The good points outweigh these deficiencies and they include the extensive range of betting markets across many sports. There are Asian Handicaps for all football matches and these markets have high limits. The in-play betting interface is excellent and 10Bet excels in a number of sports such as football, baseball, basketball and tennis. Despite some delays there is a wide number of banking methods and the transactions are free of charge. 10Bet provides a safe and secure betting experience. 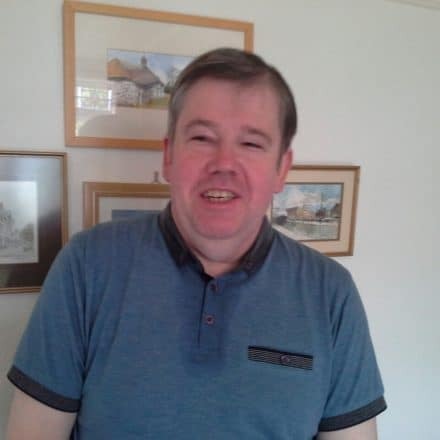 Writer for several sports websites covering the main British and European sports. Biggest expertise lies in soccer, horse racing, cricket, tennis and golf. Worked as the Betting Editor for the Daily Mirror Football app. Published on The Independent online and also written for Sporting Life and sports.com. In the past worked as an odds compiler and trader for online sports books bwin and Expekt and was head of trading for several sports and gained extensive experience of in-running trading.